The Aquatic Gardeners Association, Inc. is an international nonprofit organization of aquatic plant enthusiasts, which appeals to both beginners and experienced hobbyists alike. 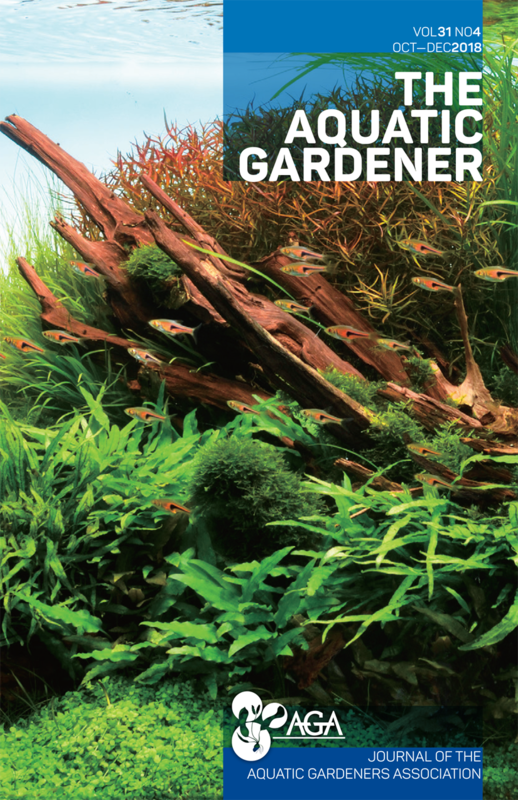 The AGA publishes a (paper) quarterly journal called The Aquatic Gardener (or TAG ), the only English language journal devoted to aquarium plants and planted aquaria. AGA members receive a FREE subscription to TAG and all special publications. Members also can purchase back issues, DVDs, and t-shirts. We also hold a bi-annual convention and an online aquascaping contest. Membership in the Aquatic Gardeners Association includes this magazine free four times per year. To obtain the journal, please visit our membership page. AGA2019 Is Now Sold Out! Not an April Fool's joke! Our 2019 Convention is, for the first time in AGA history, sold out of registrations, and over a month before the convention is happening. UPDATE - Wait list is also now closed, sorry. Big Fish Deal Aquascaping Winners! 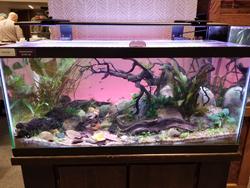 The AGA awarded free memberships to two winners of the Aquarium Beautiful competition at the Big Fish Deal February 15-17, 2019. The Big Fish Deal is an annual event hosted by the Capital Cichlid Association in Maryland. 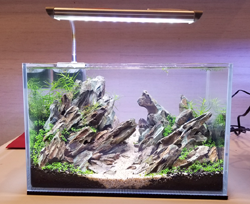 Nick Kinser won the "Aquascape Under 10 Gallons" category (top photo) and Becca Goldring won the "Aquascape Over 10 Gallons" category (bottom photo). The Aquarium Beautiful competition turns the floor of the hotel into a freshwater aquatic paradise. The contest features aquariums of all shapes and sizes on display for the public during the event. Be sure to check it out next year! 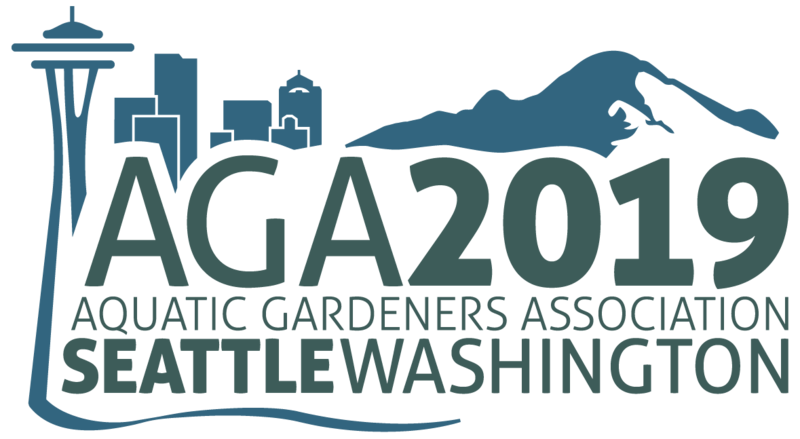 At long last, registration is now available for the AGA 2019 convention, which will be held May 2-5 in Seattle, Washington. We have a full lineup of speakers, an aquascaping demo from Dennis Wong, two workshops, the Saturday night banquet featuring a second talk from Christel Kasselmann, and a field trip to the Amazon Spheres... plus so many vendors, we had to have two rooms! See all the details at our convention website and hope to see you in Seattle next May!